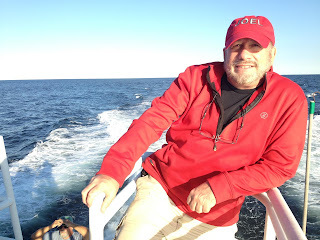 Joel Leyden - Saving the Whales! Cookies for the Homeless - Make it a Sweet Shabbat! .... EVERY Friday, right before Shabbat, go to your local bakery and ask if they have something for the homeless. Whether it's a dozen bagels, a loaf of rye or a few trays of danish and cookies - make it a sweet Shabbat for all! FBI investigates Brotsky for hacking, fraud. Jerusalem, Israel --- June 23, 2013 … The so-called Jewish Internet Defense Force or JIDF is being investigated by the FBI for computer hacking, fraud and criminal harassment. The so-called JIDF was created a few years ago by David Brotsky who goes under several aliases on both Facebook and Twitter. Among them are David Appletree, David Pitch and The Jewess. David Brotsky has attacked several leading, respected Jewish and Christian leaders and organizations. Among them are Prime Minister Netanyahu, Israel President Shimon Peres, the ADL, Nefesh b’Nefesh, Jewish Federations of North America, Christians United for Israel, The Jewish Agency and the IDF – Israel Defense Forces. David Brotsky, who is an American citizen living on the Upper West side of New York is not an Israeli citizen, has never served in the IDF yet attacks those who do. Brotsky has recently targeted respected Israeli journalist and international media consultant Joel Leyden and Israeli border policeman, Israeli anti-terror consultant Phillip Pasmanick. “If there was ever a case of Lashon Hara on Facebook and Twitter which means libel and slander this is it,” says Joel Leyden. Leyden filed charges against David Brotsky with the Federal Bureau of Investigation this past week. “As an Internet pioneer, there is very little that I have not seen on the Web,” says Leyden who co-created Israel’s first commercial Website back in 1995 and helped create the IDF cyber unit. Leyden has served as a senior consultant to the Israel Ministry of Foreign Affairs and the Ministry of Defense. This is not the first time that JIDF and David Brotsky’s had a brush with the FBI. Earlier this year the JIDF’s Twitter account posted several messages that claimed they wished to arm individuals in “every major city” and use vigilante justice against people who disagreed with them on the Internet, i.e. “trolls”. The threats have since been deleted from their timeline. Several people have apparently contacted the FBI and Department of Homeland Security in the United States. Will Africa fall to Islamic Jihad? Doing Business - seeking more leads in the Jewish world?